This painting was inspired by my friend Henrietta at art school who was painting herself in motion I wanted to give it a go myself but with my own twist. The idea was to create a portrait that would representational of what you might observe if you sat for a portrait. The artist, with brushes in hand and poised to make a mark on the canvas. 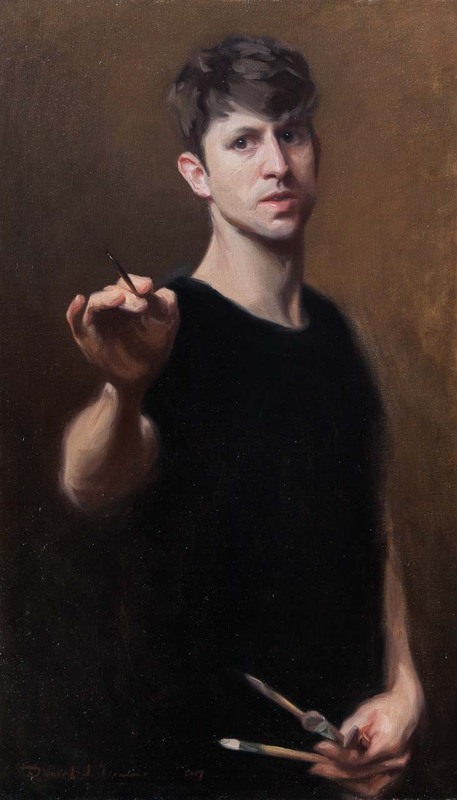 There’s a blog post about my Daniel James Yeomans Self Portrait.